Adrian Roche, captain of bluewater’s 90 metre charter yacht Nero, takes a tour of the region’s most remote spots for a marine-rich, dive-focused cruise. It’s a classic destination but don’t dismiss this as an over-furrowed route. 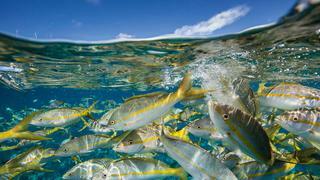 The Bahamas explored in this itinerary has nothing to do with usual run-of-the-mill routes. Don’t expect to rub shoulders with lots of charterers or indulge at boutiques. Instead, you will have the opportunity to meet marine creatures great and small, attracted by the abundant Gulf Stream and jaw-dropping coral walls of the world’s third largest reef. *Day One * You will arrive at Providenciales International Airport and meet your yacht which will be anchored off Northwest Point. The first day is all about relaxing and settling in. After lunch you can enjoy an afternoon of watersports or a dip in the turquoise waters, followed by rum cocktails and dinner on board. It’s a classic destination but don’t dismiss this as an over-furrowed route. 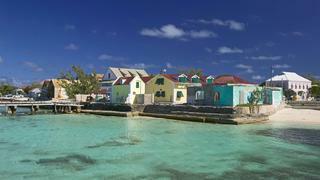 The Bahamas explored in this itinerary has nothing to do with usual run-of-the-mill routes. Don’t expect to rub shoulders with lots of charterers or indulge at boutiques. Instead, you will have the opportunity to meet marine creatures great and small, attracted by the abundant Gulf Stream and jaw-dropping coral walls of the world’s third largest reef. 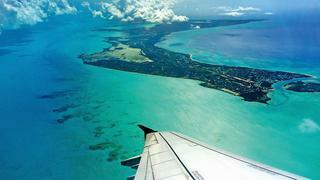 You will arrive at Providenciales International Airport and meet your yacht which will be anchored off Northwest Point. The first day is all about relaxing and settling in. After lunch you can enjoy an afternoon of watersports or a dip in the turquoise waters, followed by rum cocktails and dinner on board. Your adventure begins today with a dive on the west coast of Providenciales, where you can choose from a number of spectacular sites. 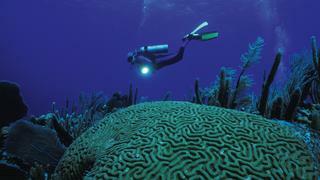 There is also the opportunity for a memorable night dive and glow-worm tour. This is a great spot for fishing, too, and the golden hour between 5 and 6pm offers a good chance of hooking a dorado or tuna. 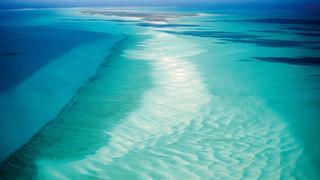 Today relax while your yacht relocates to West Caicos, 90 minutes south west of Providenciales. 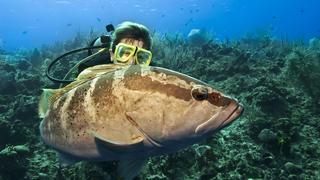 This is home to some of the world’s best dive sites, including Tons of Sponges, Elephant Ear Canyon and the Anchor. Alternatively, you can step ashore on French Cay for an eerie wander through the salt mining ruins of Yankee Town. You will set sail heading north west in the early hours to cover the 50nm to sparsely populated Mayaguana island in the Bahamas and anchor off Deans Bay. This well-kept secret has fantastic caves and an abyss-like drop, which plunges a thousand feet down to the seabed. 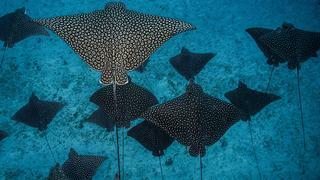 This ledge is a hotspot for spotted eagle rays and sharks. The Acklins and Crooked islands are among the most remote in the region. Separated by the Bight of Acklins, a 500 square mile lagoon, they are a haven for divers and offer some of the best beaches in the Caribbean, coral gardens, limestone caves and even remnants of slave and cotton plantations. At around 6am, your crew will pick up anchor and relocate from the south of Acklins Island to the north west of Crooked Island, where the current-free reef around Pittstown offers calm yet breathtaking diving. Expect dramatic drop-offs to 600 fathoms, where you can witness the predatory black, yellowfin and Nassau grouper stalking their prey. 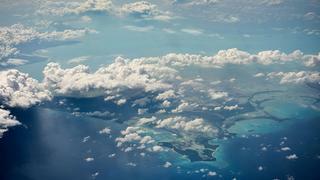 You can anchor off Long Island, near Deadman’s Cay and 50 miles west of Crooked Island. After breakfast, you can head off on an island tour, starting with Dean’s Blue Hole, the deepest blue hole in the world, for a swim – and cliff jumping for the more adventurous. If you are staying on one of the best yachts for charter with a cinema then enjoy a movie before dinner. After one final swim or round of watersports in the morning before breakfast, you will then be ferried ashore to waiting vehicles for a transfer to Deadman’s Cay Airport for your flight.